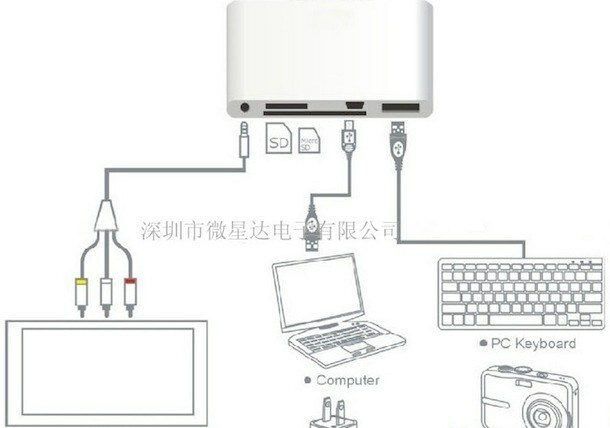 How would you like a 5 in 1 connector kit for your iPad? It has USB, Micro-USB, SD, Micro-SD, and a TV connector. Discovered by GizChina, it looks like this is only available in China at the moment. Let’s hope someone brings it to the rest of the world, I bet this would sell quite well. This is just one of many cool Apple add-ons and gadgets you can get in China but you can’t get here, including the elusive white iPhone 4. This has been available on RazorEdgeCases.com for while now. You can buy these in China Town and some mall kiosks around SFC, I don’t think it’s the same brand but there are ton of nice little add-ons for iPad/iPhone/iPod that are unofficial but really useful. Quality is hit and miss. Well, actually you could buy it with shipping to US.